The Pavilion Bar is a beautiful space in a traditional Caribbean style, open-sided with wooden shutters to allow the luscious smells of rainforest and ocean to waft into the interior. 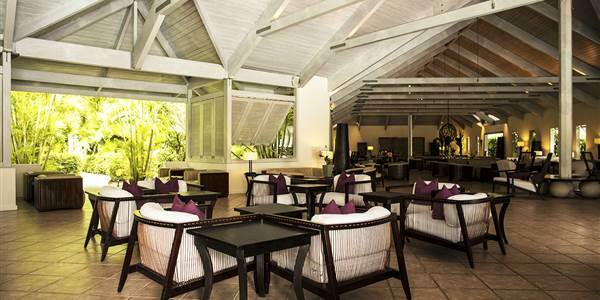 Acting as the focal point of the resort, the Pavilion Bar is cosy and yet elegant, comfortable yet intimate. Perfect for an aperitif before dinner in East Restaurant next door or for a quiet lunchtime drink of delicious fruit punch, just you and a good book. Lighting is soft, chairs and sofas are for sinking into and the décor is peaceful.